With fuel prices constantly on the rise, and congestion on UK roads getting worse by the year, mopeds, scooters and similar small bikes are growing more and more attractive to British motorists. Not sure a provider is the right one for you? Take a look at individual pages for each of our providers, where you can find more information about the company and their policies. CBT (Compulsory Basic Training) - You will need to undertake this training before you can ride any 50cc scooter or moped on UK roads legally, and will still be required to wear L plates after this. You can find more licencing information on the GOV.UK website. 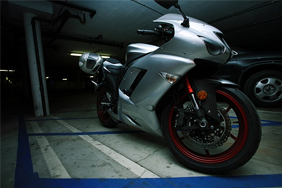 Registration - You will usually get your bike's registration documents when you purchase it, but if not, you must ensure that it is registered with the DVLA before it can be legally driven on UK roads. Tax - Just like cars, motorbikes and scooters need to be taxed to be ridden legally in the UK. 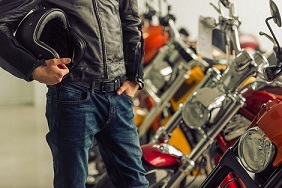 Bikes under 150cc fall into the lowest tax bracket, which can cost as little as £19 per year (correct as of 2018). You can find more vehicle tax bracket information on the GOV.UK website. Insurance - An active insurance policy is a legal requirement for all vehicles on UK roads, under the government's Continuous Insurance Enforcement (CIE) regulations. 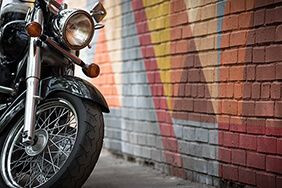 To start comparing scooter insurance policies from our range of trusted insurers, click the 'Get a quote' button above, or for more information before you buy, visit our articles and guides sections.